Mitate C3 CO2 Gel Mask is a professional-quality advanced skincare mask that is designed to diminish the look and improve the appearance of fine lines, wrinkles, enhanced color and visible imperfections. 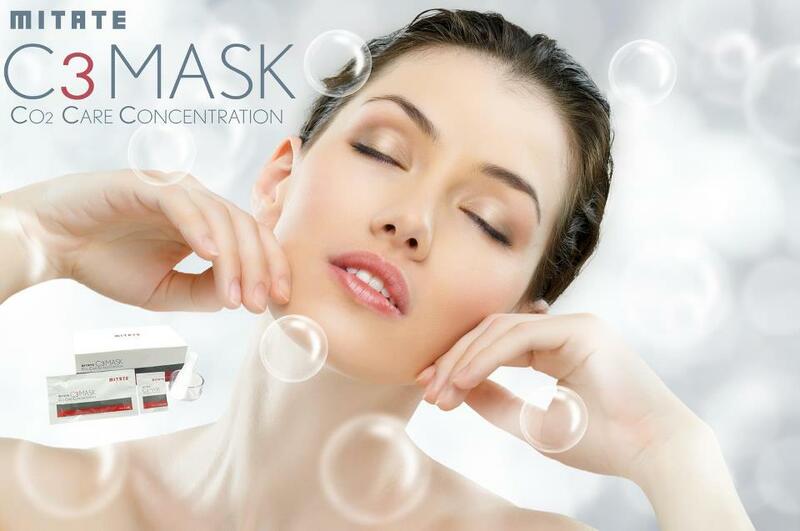 The Mitate C3 CO2 Gel Mask is exclusively manufactured in Japan as a premier quality formulation based on the finest pharmaceutical grade cosmetic ingredients. Invented by the famous Japanese scientist and plastic surgeon, Dr. Masato Hiki, the Mitate C3 CO2 Gel Mask will leave your skin feeling radiant, hydrated, smoother and tighter. The Mitate C3 CO2 Gel Mask can be used as a standalone home care skincare regimen. Or, it can be easily combined with many aesthetic treatments.